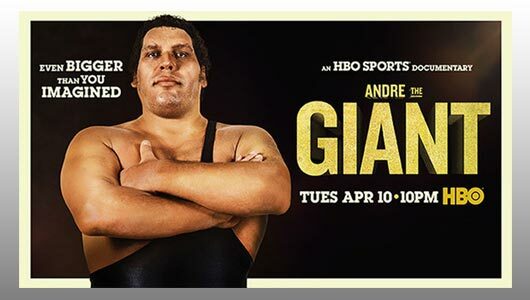 HBO Sports and WWE have come together to make a documentary looking at the life of André Roussimoff, also known as Andre the Giant. A few years ago, No Small Parts, a documentary series that takes a look at character actors, did a piece of Andre the Giant. It was a marvelous piece that delved in deeper into the acting roles that Andre did throughout his lifetime. Not much was made about Andre’s time in wrestling for the simple fact that there are many docs that cover just that. The doc was a simple piece that had one aim: to talk about Andre’s acting. 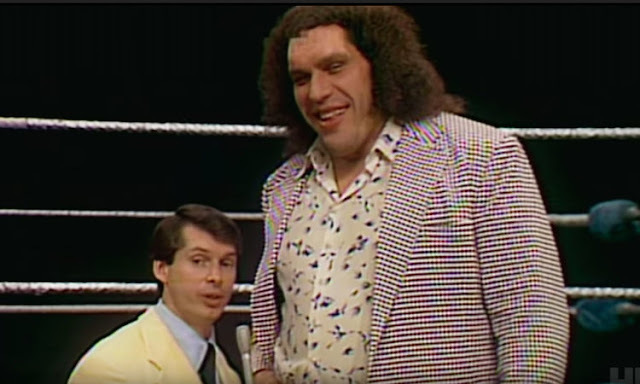 I bring up that doc because the new doc that premiered on HBO this past Tuesday, simply titled Andre the Giant, is a bit less focused than the previous doc. One would think that the doc would cover Andre’s life from beginning to end, and you would be partially right. The doc does begin with Andre’s birth on May 19th, 1946 in Grenoble, Isère, France and goes until his unfortunate death at the age of 46. His surviving brother and sisters talk about Andre’s seemingly normal life until he hit puberty and he grew to his gigantic proportions. This part of Andre’s life takes up less than ten minutes of the doc’s paltry 88-minute runtime. Before you know it we are already at Andre wrestling. 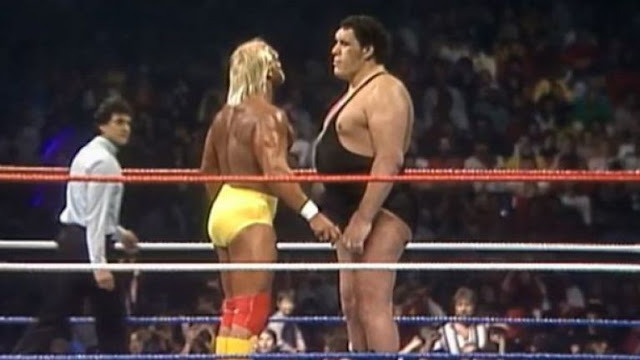 Andre was obviously a huge person, but I don’t think that people really realize how big he was until you see footage of Andre standing next to people. The man was huge and that is really one of the focuses of the doc. We learn that Andre could down 20 bottles of wine in a single sitting and Ric Flair recounts a story in which Andre downed 106 beers. These stories are some of the best stories in the doc and justify just how big Andre was. The meat of the doc centers around Andre’s time in the WWF, culminating in his loss to Hulk Hogan at Wrestlemania 3. Hulk Hogan, Gene Okerlund, Vince McMahon, and others who worked for the WWF at the time are on hand to tell stories of Andre and exploits in the WWF. The one thing that I took away from these stories is that Andre was a good person. There are plenty of stories of wrestlers being douchebags to fans and other wrestlers, but the stories that are told about Andre are heartfelt and honest. Even though you will hear that Andre “hated” someone, you never get the idea that Andre was mean or angry. Sure, there are a few stories where Andre would take things a bit too far, but it always seems like he was more “in the moment” than actually trying to hurt or kill anyone. The doc does try to show Andre outside of the ring and there is some really nice footage of Andre on his farm in South Carolina just being a normal person. While it is nice to see him choppin' wood or driving around his farm on an ATV, the doc doesn’t spend too much time on these stories and really wants to get back to the wrestling. The interview with Andre’s daughter and the story of him as a father is kept to a minimum, which is a shame because it shows that Andre had real-life problems with being a superstar wrestler while wanting to be a better father. 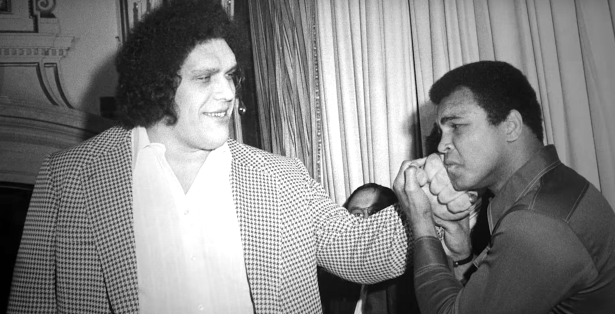 At the end of the day, Andre the Giant (the doc, which they should have given an actual name to.) is pretty good. As much as it looks like I didn’t like the structure of the film, I did. I just wish that the filmmakers had stayed on task and maybe talked a bit longer about different matches and feuds and left the other stuff out of the doc completely. I do think that the film is good and would recommend this to any fan of wrestling or those who know that era of wrestling.